Jack Jackson is a member of Celtic Pride, the BCUHB LGBT+ employee network. Although a relatively recent addition to the group, he’s been instrumental in helping steer the agenda. Jack has helped to broaden awareness and understanding of trans issues across the organisation. 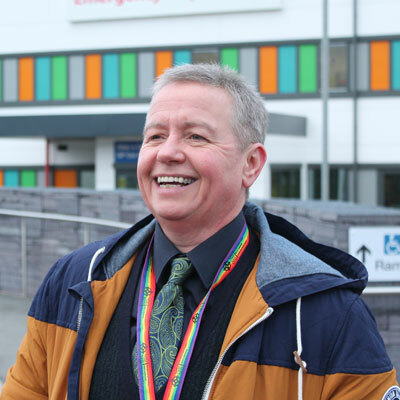 He has presented to board members about his experiences as a trans person working in BCUHB, and is working with Estates and Facilities to examine buildings and their issues from a trans perspective. Jack has also met with the Health Board’s Children Services who are reviewing services and related children’s strategy. Jack is a member of the All Wales Gender Identity Partnership Group – a group developing a full gender identity service and referral pathway in Wales, as well as designing an interim solution.